The world’s toughest and most waterproof motorcycle luggage system proven by thousands of adventure riders all over the world. Fits 2013 and newer BMW R1200GS. 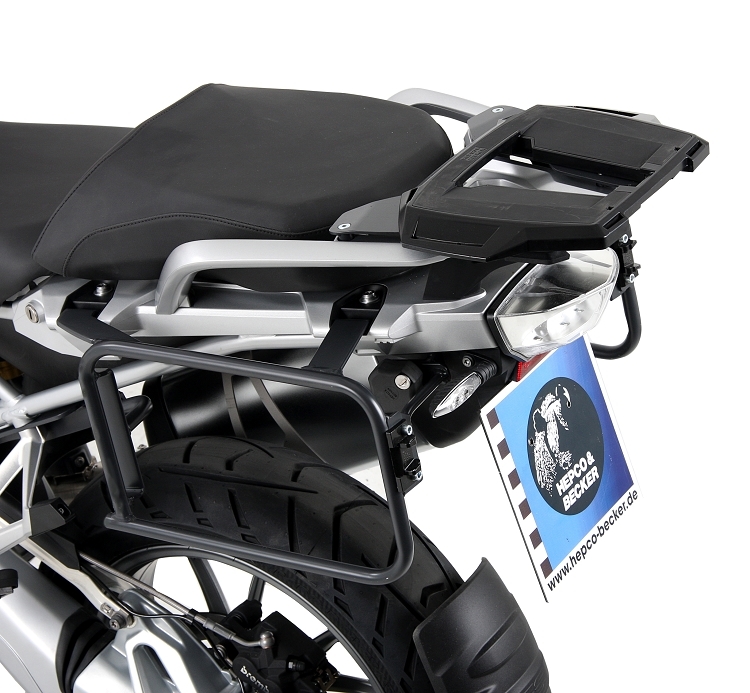 I recently purchased a 2015 BMW R1200 GSA that came with the OEM racks. After several weeks of research (and reading LOTS of opines of what sidebags are better), I opted to call Roger and buy the 40L sidebags and Hepco Becker racks prior to taking a trip last weekend. I can attest to the fact that these are OUTSTANDING sidebags! Taking off the OEM racks and installing the HB racks took me a couple of hours (I don't work fast....just deliberate). The bag brackets took a total of about 45 minutes to install. Mounting the new sidebags to the HB racks required a little jiggling and pushing due to the tight tolerances (which is, frankly, a comfort to know they are "gutentight" in their fitting). I traveled 1,360 miles through the twisties and even a little trail riding in Arkansas and the bags performed flawlessly. Truth be told, I did pack a little heavy and the bags were packed to the gills, but I never realized it while riding! My bike even took a nap when I crested a steep embankment....and the bags didn't even scratch and kept the back end of the bike off the ground! What would I improve upon in the design? The two latches have a dime-sized pressout that seems a key-lock mechanism would fit to lock the latches....just to provide that extra assurance that the latches wouldn't pop open. The existing latch performs well and does it's job perfectly though - so the double latch would be a minor improvement. Another option would be to add a TSA-like combination lock instead of a keyed locking mechanism on the bags.....that way you don't need to keep up with a key to access your bags - just to take them off the racks! Overall, I would strongly recommend these bags for any Adventure bike - the price, quality, and warranty cannot be beat! An added bonus is the fact they don't dent! Many folks' perspective on side-loading vs. top-loading is that they prefer top loading because things fall out....well, from personal experience, spend the extra $40 for case liners and you'll have a side/top-loading bag that packs very well and keeps everything inside when opened! Again, I'd like to give Roger HUGE KUDOS for a great product and support!